Bartending is a taxing job, both physically and mentally. Not only are you on your feet for long shifts, but you’re often working late into the night and barely making it to bed before dawn. 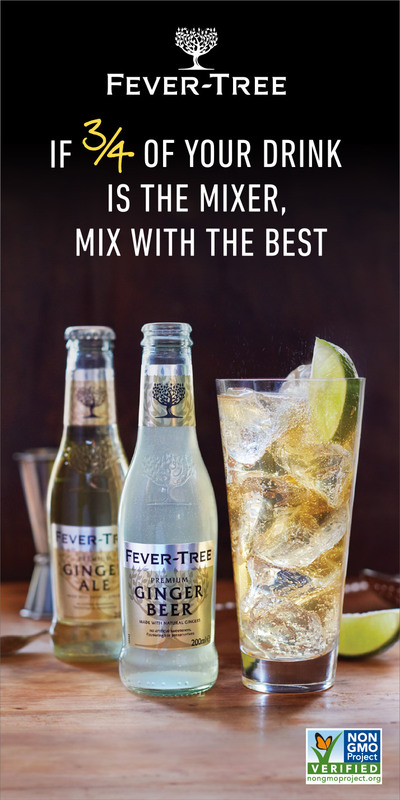 Bartenders are repeatedly expected to offer excellent service with a smile, even if a customer is rude or unruly. 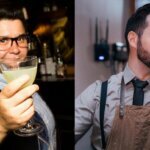 So while some bartenders love their time behind the stick, others want to move on to a different job in the industry after mixing drinks and managing bars for a number of years. 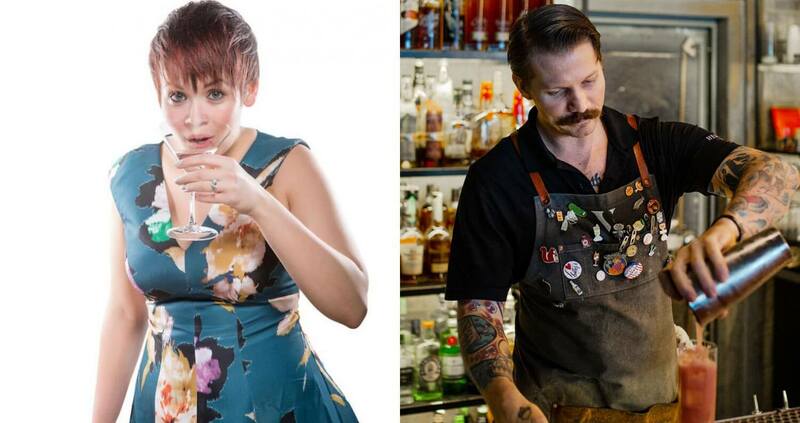 We chatted with two Chilled 100 members, Shaun Traxler and Lauren Parton, to talk about the reality of bartender burnout, how to manage it, and what career options are available once you’re done with the stick. 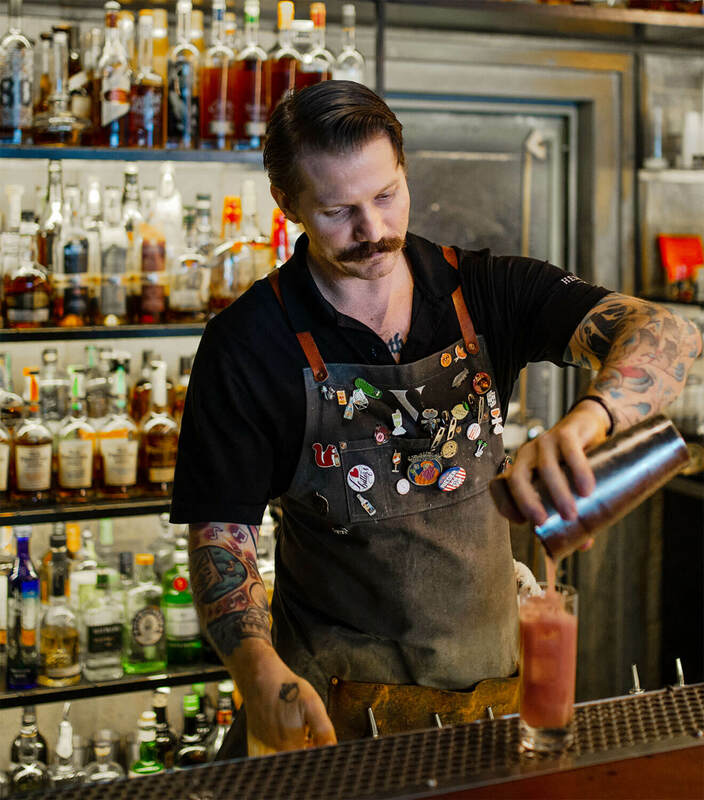 Their years of combined knowledge and expertise can give bartenders and customers alike some insight into how taxing the profession can be and how to deal with the stress in a healthful way. 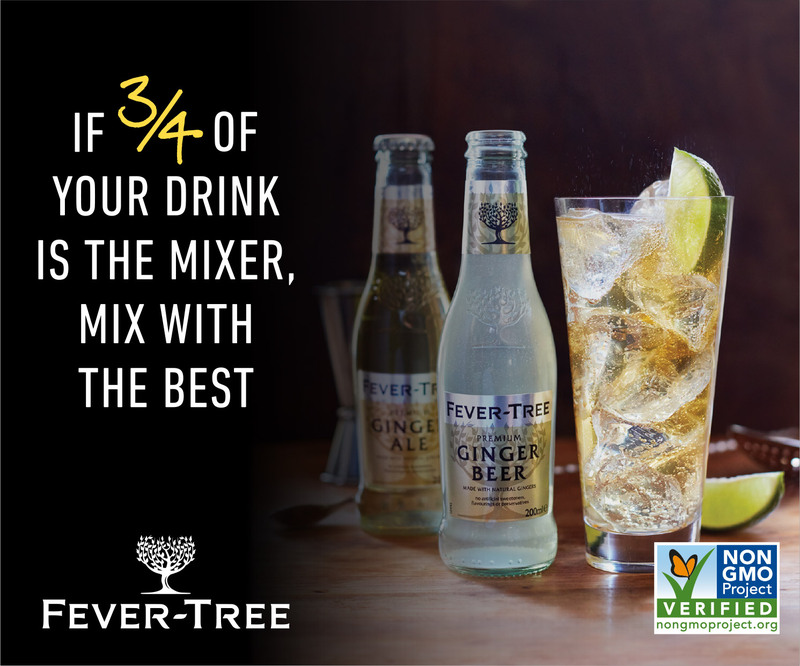 What do you see as the next step for yourself as a bartender? Do you see consulting or brand work in your future? 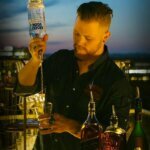 If you do want to continue bartending, is there a specific type of bar you want to work with? 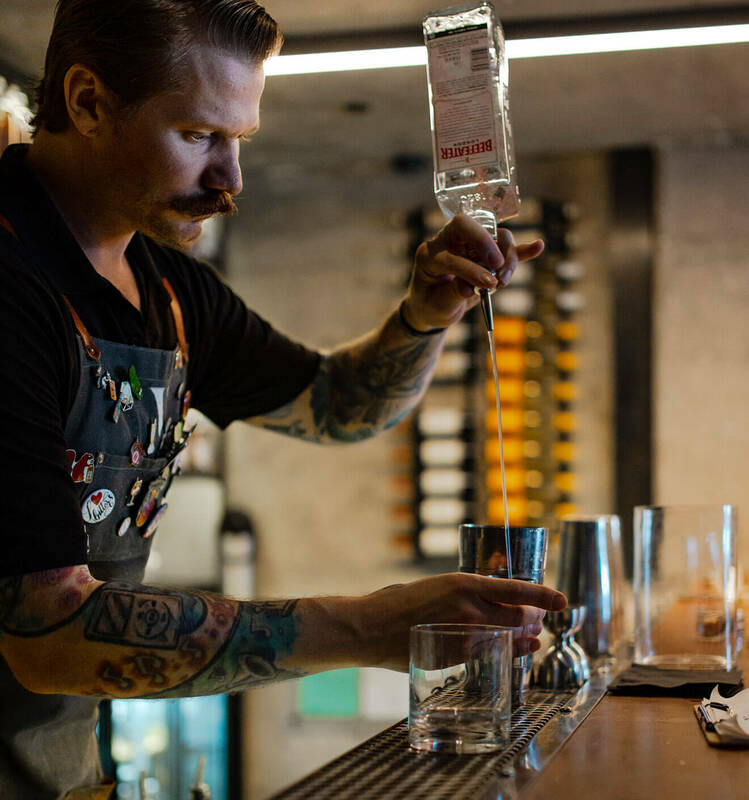 Shaun Traxler: For the longest time, I thought I’d bartend forever. I have such a thirst for the daily creativity that being behind the stick completely quenches. But for too long, I’ve blissfully ignored the effects that this profession would take on my body and my mind. After a few years and some real evaluation, it’s become clear that there will need to be some adjustment in my professional life. What that is is still uncertain. I’ve got a little side hustle happening with some consultations, but I’m not sure there’s enough work in that realm around Arkansas to sustain myself. I’ve considered brand work as well, and with the right fit, I’d consider making the move. Realistically, my next serious move is likely moving back home to Michigan to open my own spot(s). Before that, I’d like to spend the next few years using what fuel I have left in the tank traveling and bartending behind a mix of progressive cocktail bars and just plain fun dive and neighborhood bars. 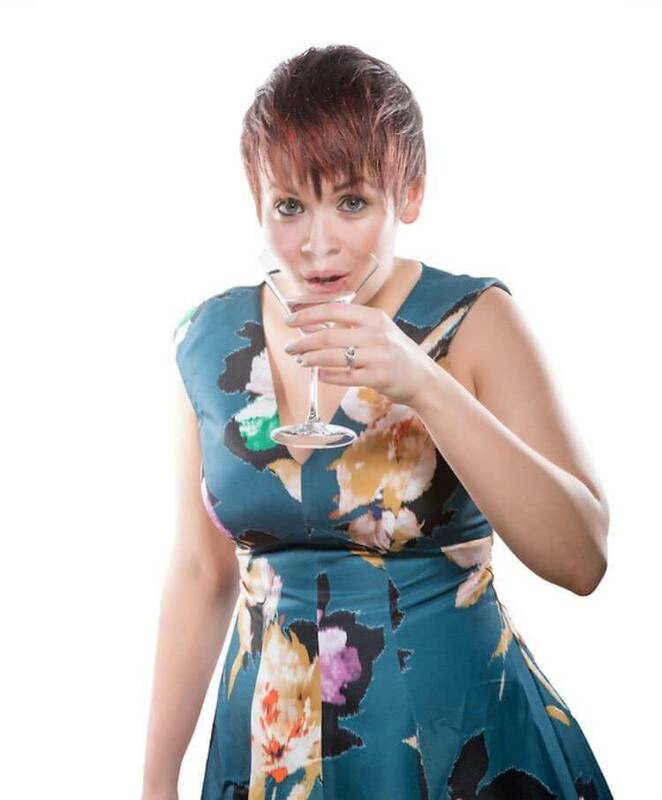 Lauren Parton: I moved into management about four years ago after bartending for about six years. I had a slightly different path than most bartenders out there. I started in the front of the house, and then I moved into the kitchen and worked my way up to chef after about eight years. I was in a pretty serious car accident after I was a line cook for just two years, so I’ve had to be in tune with my physical limitations since my early twenties. Having worked in almost every position in bars and restaurants, it’s hard for me to think of leaving them entirely and taking a brand job, but I never rule anything out. I love the business and being in the operations itself, in one way or another. 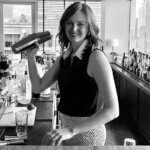 What are some ways that bartenders can avoid burnout, even if they’re constantly closing and working late nights? ST: The burnout is real. Years ago, I foolishly believed I’d be immune to its effects. Unfortunately not—this industry is taxing. We give and give and give, and patrons take and take and take. There are days we are made to feel inhuman and days we’d love to be anything but hospitable, but we know that’s never an option. Putting your mind into that corner takes its toll. Combine all of the above with late nights, inconsistent sleep patterns, excessive consumption (myriad of things), often a complete disregard for true self-care, and a generally poor support network (we love to do what we want and skirt any responsibility or accountability we can), and it becomes increasingly difficult to battle the burnout. That’s not to say there aren’t measures we can take to alleviate some of the stresses our jobs cause. I believe, as is often preached, balance is the key to long-term success in this field. We spend every second at work carefully and thoughtfully curating perfect experiences for every guest. It’s incredibly crucial to find time to do for yourself what you’re so good at doing for others. It’s also key to not fall into the fairly typical bartender pattern of socializing predominantly with other service industry employees. Make an effort to see your friends who don’t serve or bartend or manage bars and restaurants. Go participate in activities completely unrelated to your occupation. The importance of discovering your own work-life balance can’t be understated. For me, it’s finding time to get outside. I’m an avid camper, fisher, and hiker. Weeks where I’m able to find a day to soak in the serenity of the outdoors can refill the mental energy coffers required to perform my job at the standard I hold myself to. LP: I love that this is something people are talking about now. I think there used to be a stigma around it, and I’m glad this is changing. This is something that changes for everyone as they move through life, but some things I have found helpful is to not feel bad taking a vacation. I can get really caught up in work, and I didn’t take a vacation for almost eight years—I didn’t even realize I was really burnt out. Then, finally, my now-husband got me to take a week off in the slow season. It was incredible. I used to feel guilty about taking any time off, but now I know I need it to keep doing my job the best that I can. Are there any specific self-care tips you turn to in order to stay healthy when you’re feeling overworked? ST: I can’t stress enough how crucial gym time is for my emotional and physical health. I know how difficult it can be to even fathom the gym after 50 hours on your feet, but the sense of accomplishment that accompanies that workout is everything. In addition, the tuning of your body to handle hours and years on your feet should be reason enough to add a small workout to your weekly routine. One of the first areas of health to suffer when working long hours is diet. Poor diet leads to poor health, which leads to an overall feeling of negativity. Because bartending is such a mentally taxing profession, keeping your mindset positive is paramount. Allowing yourself to spiral into a cycle of defeat is dangerous for a variety of reasons, and it can be brutal to battle your way back to a better place. Staying on top isn’t as difficult as it may seem. I’ve personally found weekly meal prep to be such a valuable tool. It allows me to eat well even during the busiest of weeks, therefore eliminating the guilt from those late-night, unhealthy impulse meals. Aside from diet and exercise, I believe it’s as doing things for yourself. Get a pedicure. Read a book. Learn an instrument. Date outside the industry. Love yourself. LP: Before I go into work, I like to start my day quietly reading, working around my house, or with my dogs. And when I really start to feel burnt out, I talk to my some of my good friends in the industry, people I admire and respect. Getting back to the root of why we all chose this and love it really helps. Something else outside of the usual sleep/exercise/time to yourself (which are all great) is volunteering. I recently joined a nonprofit board with CAASE (Chicago Alliance Against Sexual Exploitation). Volunteering with a greater cause that also has some crossover in the hospitality industry has been key in maintaining perspective and giving motivation.